Few things are as terrifying as having your own safety or the safety of your family threatened by a violent person. Even the thought of this kind of danger can be quite disconcerting. Learning of a home invasion or assault in your community may have you considering what you can do to protect yourself, your family, and your property. Perhaps you have considered getting an alarm system or purchasing a gun. Another option you should consider is a personal or estate protection dog. Ensuring your personal safety and the safety of your family is of critical importance, and a multi-faceted approach is likely to yield the highest degree of protection and the most peace of mind. In other words, having an alarm system, a gun, and a protection dog is probably better than having just one. However, if you can only pick one, a High-Class K9 personal protection dog has several advantages over these two alternatives. Having a gun in the home or carrying one with you outside the home is a common measure many take for personal protection. Unlike an alarm system, a firearm does provide portable and immediate force against someone wanting to do you harm. However, a High-Class K-9 protection dog significant advantages over this method of protection. First, for a gun to be an effective means of protection, you must be comfortable and skilled using it. Obtaining true confidence in your shooting ability will likely take time, money, and professional training. Additionally, using the deadly force of a gun in a self-defense situation creates some very real legal and moral issues. A High-Class K-9 protection dog comes trained to provide intimidating and effective non-lethal force. Second, firearm accidents are responsible for tens of thousands of deaths every year. Protection dogs are carefully selected and trained to be safe (even affectionate) around children. Third, if you decide to carry a gun outside the home for protection purposes you will have to decide whether or not to conceal your weapon (depending on local laws). If you conceal, the deterrent effect of your gun is lost. Carrying openly might deter those who wish to do you harm, but also may be unsettling to others. Having a protection dog with you in public provides deterrence without drawing attention. Home alarm systems come in a many forms with differing degrees of sophistication, but they essentially offer the same basic service. If someone forces their way into your home, the alarm will detect the intruder and alert the police. A personal protection dog can recognize can detect an intruder, but also offers significant advantage over an alarm system. A personal and estate protection dog can provide immediate and forceful protection of you and your property. If a burglar breaks into your home, your alarm might blare, but no one is going to forcefully stop the intruder until the police come or you yourself engage the criminal. Having to physically confront a likely armed home intruder is not a situation anyone hopes to be in. On average, it takes police 10 to 11 minutes to respond to an emergency call, an eternity if someone is in your home threatening your family. High-Class K9 estate protection dogs have been expertly trained to physically confront, detain, and disarm a threat. Alarm systems only protect your house; the fact you have an alarm system at home is irrelevant to the mugger waiting for you on a dark street corner. Protections dogs and the security they provide can be taken with you anywhere. Ultimately the choice is yours on how best to protect yourself and your family. 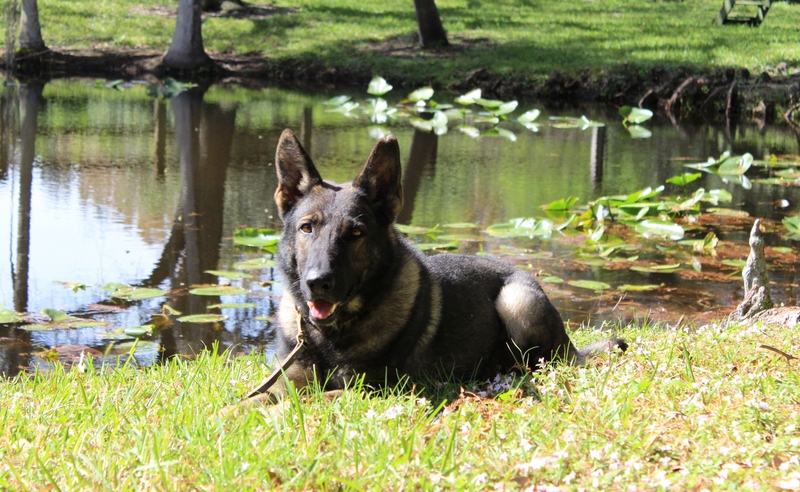 A High-Class K9 personal protection dog offers a unique, versatile, and effective solution to your protection needs and may be a better option than other traditional methods.